Find your perfect pint at these consistent favorites, from the classic like J.J. Foley's, to the cozy like the Druid, to the dives—ah, Murphy's Law. The Irish pub is a prevalent style of watering hole in cities that aren’t made up of majority Irish descendants, so it’s no surprise that the Boston area has hundreds. We’ve selected 17 of the coziest, friendliest, and most satisfying places to stop for a chat and a pint of Guinness, from Southie to Somerville. Whether there’s a live music session happening in a corner booth, a rugby match on the flatscreen, a roaring fireplace in the dining room, or simply a couple locals with thick Irish brogues seated next to you, these Irish pubs offer truly authentic experiences. 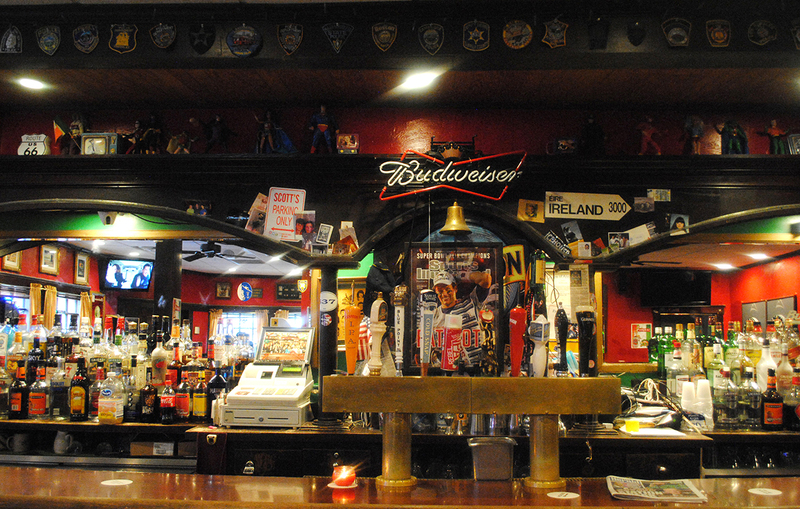 A lively sports bar on Dot Ave, the Banshee is the official home to several local chapters of international soccer supporters’ clubs. It’s also the most reliable place in town to catch Gaelic sports like rugby and hurling. 934 Dorchester Ave., Dorchester, 617-436-9747, bansheeboston.com. If you are seeking an Irish pub near Faneuil Hall, stick to this spot that’s been properly pouring pints for more than 40 years. Traditional Irish music happens here seven nights a week, and the menu manages to combine New England classics and Irish treats to serve a true taste of Boston. 160 State St., Boston, 617-742-2286, blackroseboston.com. Portraits of Irish authors—including the namesake himself—adorn this watering hole, along with political and punk memorabilia fit for a Jamaica Plain local. The Behan has an extensive craft beer list, but it’s bring-your-own food (and cash-only). The bar is dark, welcoming, and entirely unpretentious. 378 Centre St., Jamaica Plain, 617-522-5386, Facebook. A hidden gem in Union Square, this pub is a cozy spot to enjoy live music and fresh food. Look for theme nights such as $2 tacos on Tuesdays. But with a solid beer menu, Bull McCabe’s is welcoming every night of the week. 366 Somerville Ave., Somerville, 617-440-6045, bullmccabesboston.com. Irish musicians Tommy McCarthy and Louise Costello founded the Burren 23 years ago, and it’s been a bastion for traditional tunes ever since. Catch sessions and sets nightly, not only in the spacious main bar area, but also in the Back Room. It also hosts weekly comedy. 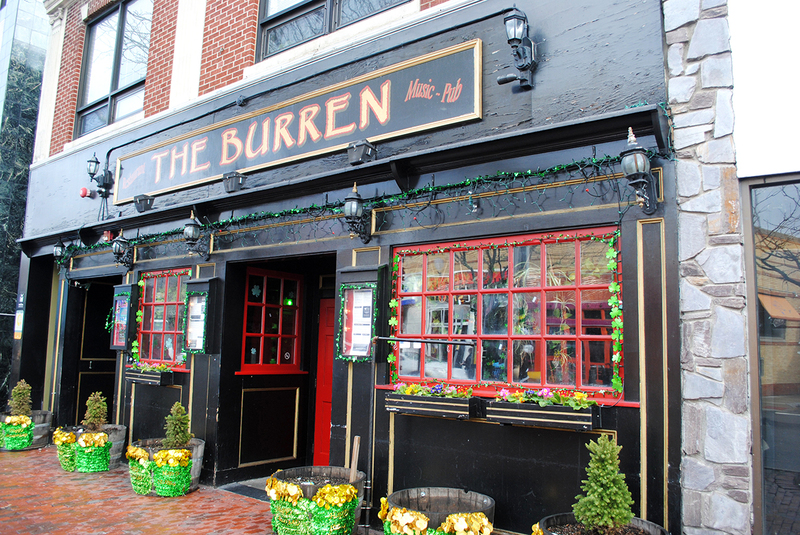 247 Elm St., Davis Square, Somerville, 617-776-6896, burren.com. A roaring fireplace makes this neighborhood bar especially welcoming during colder months, and prime rib every weekend is quintessential, old-school comfort food. But any day of the week, a full menu of pub grub is also friendly on the wallet. 2030 Centre St., West Roxbury, 617-469-4177, corribpub.com. This pub’s proximity to Boston Beer Co. makes it a requisite stop for post-brew tour revelers—there’s even a door-to-door party shuttle from the brewery. It was the first bar to put Boston Lager on tap, and these days, there are hard-to-find and exclusive Samuel Adams releases too. But Doyle’s was on the map well before a young Jim Koch wandered in with his product in the mid-1980s. It’s been in operation since 1882, and its décor makes it a veritable museum of Boston history. 3484 Washington St., Jamaica Plain, 617-524-2345, doylescafeboston.com. Come for the fish and chips, stay for everything else. Whether it’s Irish music sessions on Tuesdays and Saturdays, the small-but-mighty draft list, the amicable Irish bar staff, or the fascinating floating banshees above the bar, the Druid is the ultimate place to while away an afternoon or evening and feel truly transported. 1357 Cambridge St., Inman Square, Cambridge, 617-497-0965, druidpub.com. Exposed stone walls, vintage Guinness and Killian’s advertisements, and a fireplace earn this lively Mission Hill bar a tip o’ the hat. But it’s the full Irish breakfast—and the very American food challenge it inspired—that earns it a place among the best Irish pubs in Boston. 1619 Tremont St., Boston, 617-566-7744, flanns.com. This welcoming bar frequently switches up its draft lines with solid craft beer selections from Mystic Brewery, Smuttynose, Allagash, and more—including an excellent pull of Guinness. For your entertainment, there’s a fun jukebox, darts, and ex-patriate Irish regulars who are as congenial as the small bar they sit around. 224 Market St., Brighton, 617-787-5427. Another landmark Boston bar, J.J. Foley’s has been pouring pints in the South End for more than 100 years. 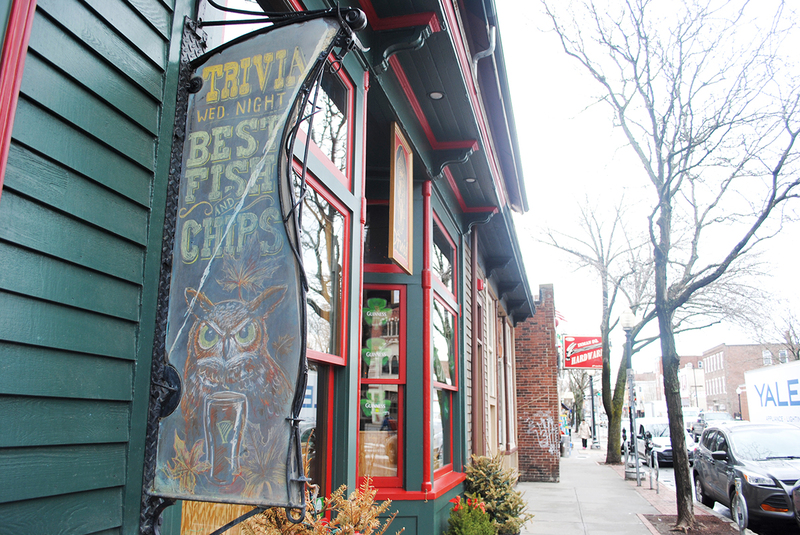 It claims the title of the oldest family-run Irish pub in town. But the often-packed establishment doesn’t rest on its laurels, continuing to serve better-than-it-needs-to-be fare and rotating specials, like chicken piccata, bangers and mash with a fried egg, and spicy stuffed quahogs. 117 E. Berkeley St., Boston, 617-728-0315, jjfoleyscafe.com. This corner bar has the dark woodwork, stained glass details, and (often crowded) community atmosphere you’d expect from a classic Boston Irish pub, which is likely why the producers of Good Will Hunting chose to film some of the Oscar-winning movie there. 658 E. 8th St., South Boston, 617-268-4335, Facebook. This spot has a decidedly nontraditional aesthetic, with noise-canceling panels along its high ceilings, steel tabletops, and sleek silver banquettes. But it’s the excellent menu that maintains this Brookline pub as essential, from full Irish breakfast, to newspaper-wrapped fish and chips with a spritz of malt vinegar, to complimentary oysters on Mondays from 5-7 p.m. But, you’ve been warned: cash only. 14 Harvard St., Brookline Village, 617-232-0188, Facebook. In a crowded field of Irish-themed bars in downtown Boston, Mr. Dooley’s stands tall. 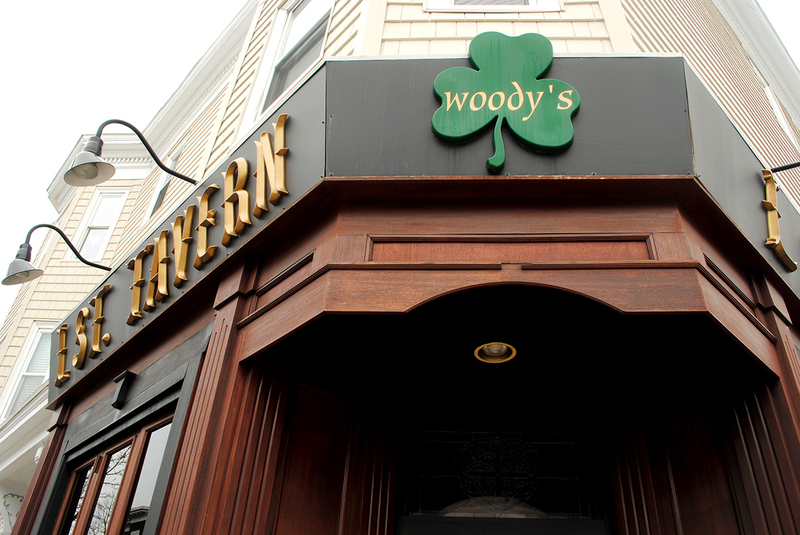 Opened in 1991, it’s the first establishment by the late John Somers, who owned the Green Dragon, Paddy O’s, a South Shore Dooley’s outpost, and others. He was also a musician, so it’s natural that Dooley’s is a favorite site for fiddlers and whistlers to pop in for a session. There’s also live entertainment seven nights a week. 77 Broad St., Boston, 617-338-5656, mrdooleys.com. Admittedly more dive-y than cozy, Murphy’s Law is still a great place for a pint of Guinness or Smithwick’s. It doesn’t offer the Irish comfort food or the live music you can find at other establishments, but the staff is friendly, the game is on, and the prices are more than agreeable. 837 Summer St., South Boston, 617-269-6667, murphyslawbar.com. Since 1969, this Cambridge corner has hosted luminaries such as Seamus Heaney, Bonnie Raitt, and Phillip Roth. One of its claims to fame is being the place where the quarterly literary journal Ploughshares was conceived. These days, on any given night, it’s a casual, comfortable spot to take in live music, a hearty meal, and a pint or three. 912 Massachusetts Ave., Cambridge, 617-576-0032, ploughandstars.com. From the friendly bar in front, peek into the dining room in back, where live entertainment sets up nearly every night. The bartenders preside over a diverse of lineup of craft beers on draft, a couple dozen by the bottle, and liquor and wine—as well as both seating areas, so service can be unhurried. But this neighborhood pub, on the Somerville/Charlestown line, is a fine place to hole up. 108 Cambridge St., Charlestown, 617-241-4999, tavernattheendoftheworld.com.